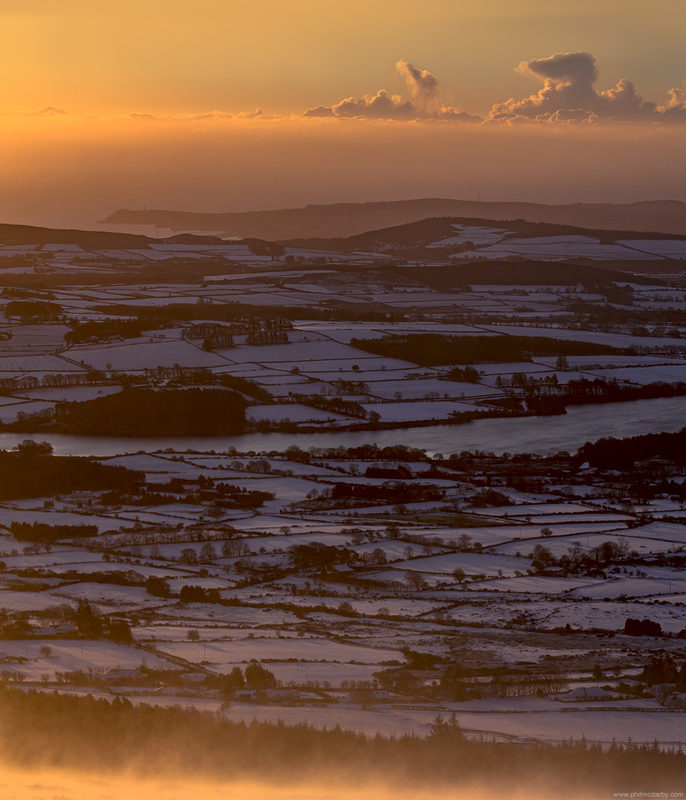 Caught one of the most beautiful dawns I’ve seen yet, crouched down in the snow on top of Djouce mountain with my old pal Kev. We’d spent over an hour getting up there, and the wind whipped snow off the mountainside in stinging flurries. When the sun crested, the whole countryside lit up in these purples and oranges. The air was so clear – all the way to the Lighthouse on the headland. Magic morning and one I will always remember.